The Chinese ice-breaking ship Snow Dragon which was on its way to rescue a stranded Russian cruise ship stuck in ice is now also stuck in ice. The cruise ship is doing scientific research on climate change and has been stuck in Antarctic ice since Monday 23rd December. The Chinese vessel was only six nautical miles away when it also got stuck. The scientists onboard the MV Akademik Shokalskiy have been constantly posting updates of their situation on you tube, twitter and vine. One video shows how close the Chinese icebreaker got as scientists can see it and point it out on the video. Head Scientist Professor Chris Turney is keeping everyone updated and will be posting updates everyday. Below is the latest BBC news report updated by Chris himself! The Snow Dragon ship must now wait for another icebreaker to come and rescue it along with the original cruise ship which was stuck in the ice. 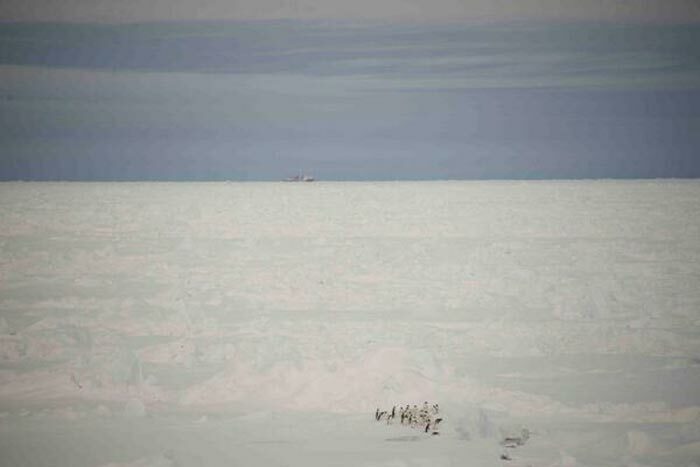 The French icebreaker Astrolabeis is on its way to help but has been slowed down by the harsh weather in the region. It’s only 14 nautical miles away but if the French ship also gets stuck then there is an Australian icebreaker also heading to the area in Antarctica. You can read Cruise Hive’s original news story here.